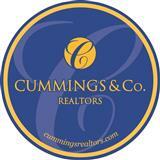 Looking to purchase a home in the Abingdon / Bel Air area. Consider Constant Frienship. The community offers an easy commute, open spaces, pedestrian / cyclist paths and many different size homes all affordably priced.